OPL was a French optical and mechanical company that made cameras from 1945 until at least 1967. Société Optique et Précision de Levallois, S.A. (OPL) was founded in 1919, although its predecessor dated from 1911. It produced rangefinders, military, medical, and scientific optics, and the "Foca" and other rangefinder cameras, at Levallois (a Paris suburb) and Châteaudun (Eure et Loire). OPL's main models were the Foca and later Foca Universel families of 35mm interchangeable lens rangefinder cameras, a French equivalent of the Leica or Contax that met some success in its home market because of the high prices for German cameras induced by the high customs duties of the time. 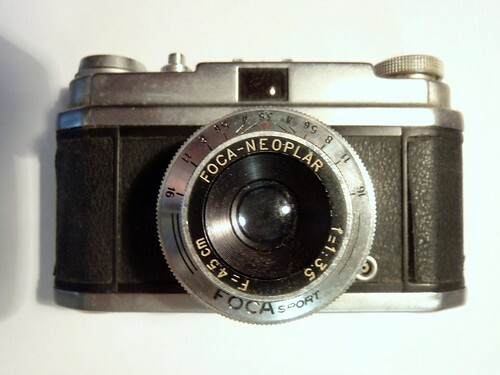 It also made a line of simpler 35mm fixed lens cameras called the Focasport, and a 35mm leaf-shuttered single lens reflex called the Focaflex. Sales fell off after 1961 and on 1 January 1964 OPL entered into an arrangement with Lumière. In December 1964, the company merged with Société d'Optique et de Mécanique de Haute Précision (SOM), maker of SOM-Berthiot lenses, to form Société d'Optique, Précision, Electronique et Mécanique (SOPEM, later Sopelem), now at Dijon. Princelle, Jean Loup. Foca Historica. Mialet, France: Éditions Cyclope, 1997. ISBN 2-910284-38-6. This page was last edited on 16 February 2017, at 19:30.